Despite the recent decline in mortality from coronary heart disease (CHD), this disease remains the leading killer of US adults of all ages. CHD in young adults is not as well characterized as CHD in older individuals because it occurs less frequently, but this disease can have devastating consequences for young patients and their families. 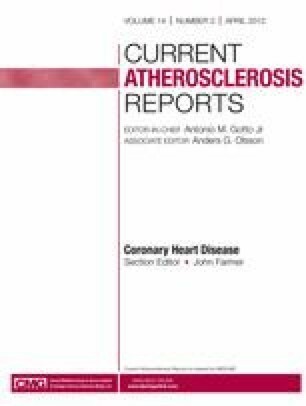 As in older adults, the majority of coronary events in young adults are related to atherosclerosis, and one or more of the traditional CHD risk factors is typically present. Young patients, however, are more likely than older patients to be smokers, male, obese, and to have a positive family history. Risk factor reduction is thus of major importance in managing young CHD patients. Approximately 20% of CHD in young adults, however, is related to non-atherosclerotic factors, such as coronary abnormalities, connective tissue disorders, and autoimmune diseases. Cocaine and other illicit drug use have been increasingly associated with acute myocardial infarction and accelerated atherosclerosis. The differences in etiologies and risk profiles of younger and older CHD patients result in differences in disease progression, prognosis, and treatment. Limited data suggest that prognosis may be better in the young population, although long-term mortality studies have suggested otherwise. Screening for CHD in the young population may help to improve prognosis in young patients by detecting subclinical disease, although more studies are necessary to establish reference limits for this young population. Additional research must also focus on treatment concerns that are specific to young patients. J.B. Rubin: none; W.B. Borden participated in a one-time advisory board meeting for Kowa Company, Ltd. Publisher Name Current Science Inc.